Hi everyone!! 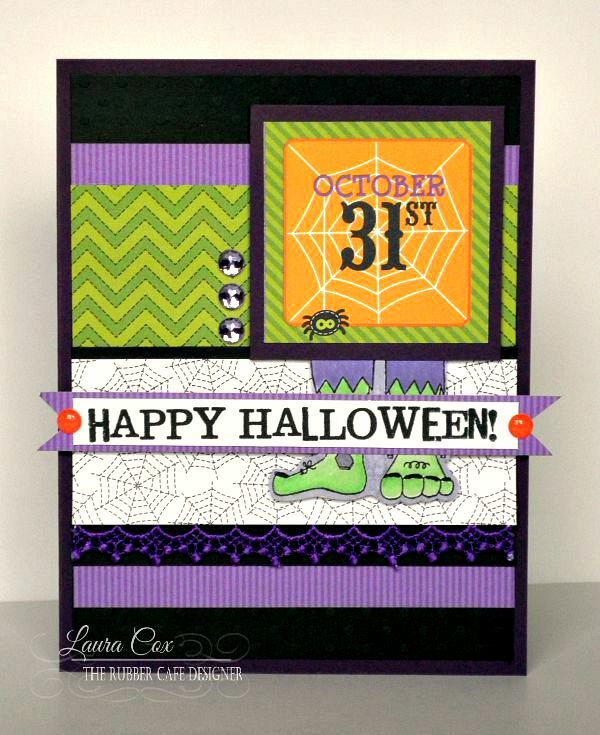 Laura here sharing a card using the fun Creative Cafe' KOTM for September! First Layer: 5&1/4" by 4" black swiss dot cardstock--glue to base. 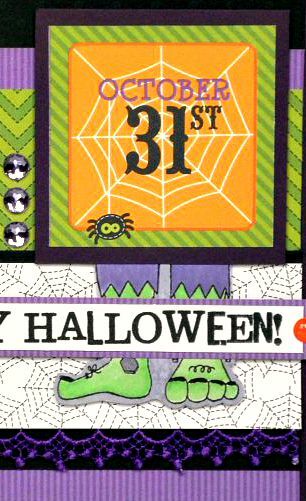 Next Layer: 4&1/4" by 4" purple striped patterned paper--glue to swiss dot. Next Layer: 3&1/2" by 4" green chevron patterned paper--glue to purple stripe. Then cut a 1&1/2" by 4" piece of spiderweb patterned paper, and a 2" by 4" piece of black swiss dot cardstock. 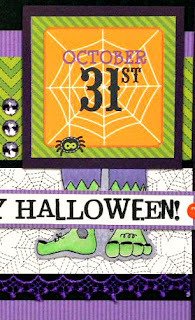 Use a thin line of Scrap Happy Glue to adhere purple trim to the bottom edge of the black swiss dot cardstock, then glue the spider web patterned paper overlapping slightly. Stamp the monster feet and Happy Halloween sentiment on white cardstock using Memento Black Tuxedo Ink. Color monster feet, and cut out. Trim sentiment down (about 7/8" by 4") and mat of a thin piece of purple stripe patterned paper, trim ends in a banner shape, and add enamel dots. Next trim the October 31st piece from the paper pad, mat on a piece of purple cardstock, then foam tape to the front of the card. Foam tape the monster feet piece just under the edge of the October 31st, then foam tape the Happy Halloween banner over the monster feet. Add rhinestones to finish. 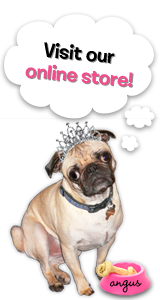 Thanks for stoppin' by today.....come back soon for more inspiration!